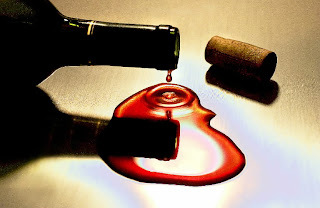 House of Fine Wines: How to Extend the Life of Your Opened Wine. How to Extend the Life of Your Opened Wine. This is usually not a problem in my house. With two winos (well me and someone who's learning there's more to it than just red ones and white ones), bottles don't tend to just lay around. Occasionally I do run into the problem of having 1/2 a bottle and plans the next day. So how long can you hold onto a wine before it's deemed undrinkable? Sparkling Wine: 24 hours at most - once opened it will start to go flat. Once you pop, you don't stop. White Wine: 1 - 3 days. White wine is primarily consumed for fresh fruit flavors, and these fade quickly once opened. Heavier wines (like oaky Chardonnay) tend to last longer than Riesling or Sauvignon Blanc. Rosé Wine: 1 - 3 days. Lighter rosés are like white wines and will fade quickly. Some fuller bodied wines will still taste fine after a few days. Light-bodied Red Wine: 1 - 3 days. Like white and rosé, lighter reds are built around the freshness of fruit, which fades quickly. Full-bodied Red Wine: 1 - 5 days. Some heavy reds - like Cabernet Sauvignon and Syrah - may even improve after being open for a day or two, particularly when they are young and tannic. 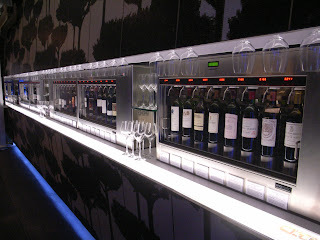 The oxygen softens the wines and brings out the aromas. After a couple of days the fruit will fade. Fortified Dessert Wine: 7 - 14+ days. The high alcohol and sugar content of these wines allows them to withstand the oxygen onslaught much better than dry wines. Port and Madeira in particular can last for weeks in the fridge after being opened. -----> I tend to disagree and think you can go longer here. I had a ruby port sitting for well over a month and it was still fine. So you've got your wine open and you want to preserve it just a little longer. What to do? First, cork it tightly. It won't stop the oxidation, but it will help to slow it down. Next put the wine in the fridge over night. White and RED. The cooler temperature also help slow the oxidative aging. 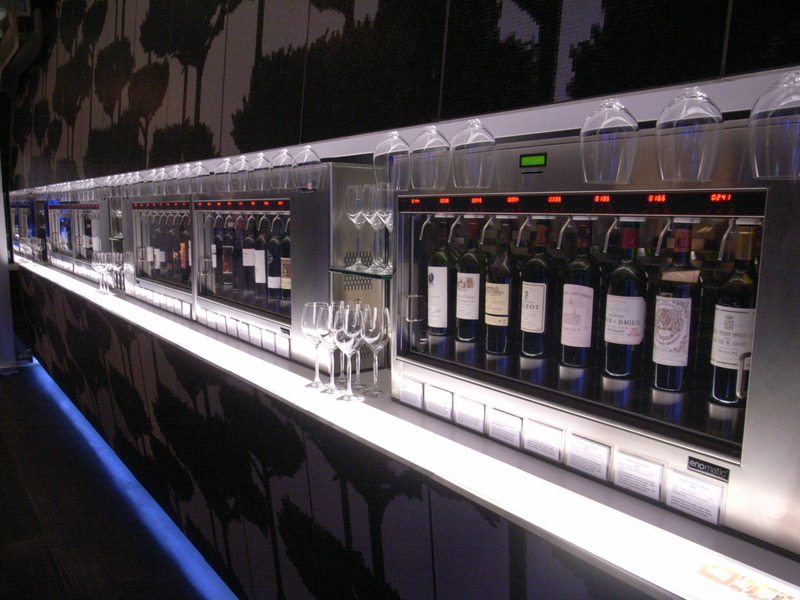 There are several options that involve minimal investment that can also help preserve your wine. First, buy a vacuum. I found this one for $58! Pump out the air and presumably your wine should stretch a few more days out. Does anyone have one and can vouch for this? There's also a gas spray system which sprays inert gas into the wine before you cork it. This is supposed to expell the air and help the wine last. I've never heard of anyone actually doing this though. For effort/payoff, I say just drink it. Got a bigger budget? 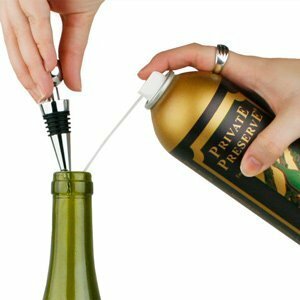 Try and Enomatc wine preserver! And while you're at it install a bar and invite the neighborhood over! The quality, tannin, and acid in the wine will also make a difference. Chances are your highly fruity $40 bottle of Shiraz won't make it through the night. Toss it and buy a new one. Or alternatively make a tomato sauce and toss in the wine for some added flavor. On the other end of the spectrum, if you have a highly tannic, acidic wine, it may benefit from breathing in the fridge over night. If that's the case, give me a call. Any other interesting tricks out there? Share one and I'll reserve you a spot at the HOFWs Christmas Feast!